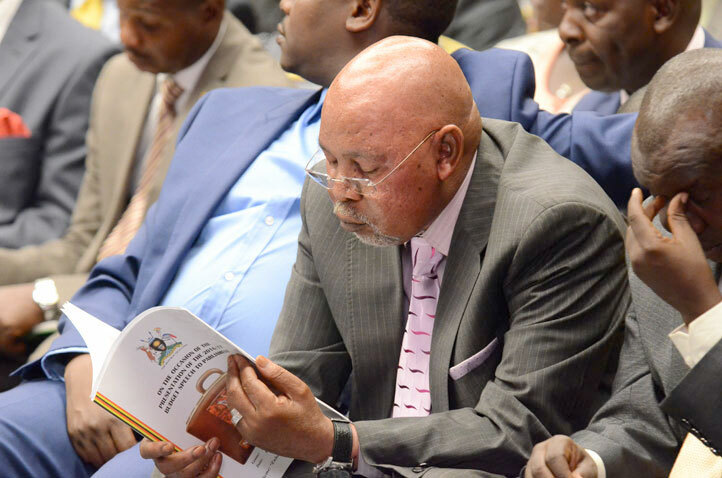 KAMPALA – Civil society organizations want internal affairs minister Gen Jeje Odongo to produce a dossier detailing findings into their offices. CSO claim the latter should produce evidence his charge unearthed when it investigated raids and break-ins that rocked the NGO world recently. Attending a meeting at Hotel Africana in Kampala Patrick Tumwine‎, program coordinator at the Human Rights Network-Uganda, tasked the minister to avail them the report. Tumwine and a team of others asked the minister to explain reason it was taking forever for law enforcement and Police to conclude the investigations and brief them about culprits who raided their various offices and made away with a number of office equipment, including computers in some instances. But the minister failed to convince the angry group. He said the ministry and Police continued to investigate the raids and would disclose report of findings once inquiries concluded. A systemic pattern of attacks targeting legitimate work of organizations is worsening as perpetrators, with impunity, continue to remain at large. “What makes the break-ins very concerning is a fact that the attackers have repeatedly targeted organization documents and other confidential information of no ordinary financial gain, said Leonard Okello, Chief Executive Officer for UHURU Institute of Social Development, which was also raided last year. In a few isolated cases, thugs make away with other material including laptops, cameras, and computers — which contain sensitive information about the organizations and their clients. Okello said there existed lots of mistrust between government and a number of NGOs, mainly those which focus on governance and leadership. But Police spokesperson Emilian Kayima said the forces had a real mandate to enforce the law, and not to be the ones breaking it. Kayima said a number of people were arrested and taken to Court in relation to the break-ins. He said a report was prepared in effect to the matter. But he could not divulge details of investigations into the raids. He said details would be released “once senior management” at the forces has perused the draft.